Many Torontonians think the city is boring. City fathers perpetually dream of elevating the city to "world class" status. Well, Toronto has a famous landmark called CN Tower, that tall pointed thing that has become a recognizable symbol of the city. The city hosts the 2nd largest international film festival in the world (TIFF), next only to Cannes in importance. We have crowd drawing events like Caribana and Toronto Gay Pride, that bring a million visitors into the city. We have a parks system that is the envy of many cities including a downtown island park with an airport. We have a transit system that people actually use. The locals tend to say "please", "excuse me", "ooops I'm sorry "a lot. At any given time, there are more than 20,000 international students, most in English language schools who think Toronto is one cool city. We have Much Music, hockey, football, baseball, basketball, alas no World Cup calibre soccer teams. Downtown, there's a theatre district that's 2nd only to Broadway; the financial center, a telephone extension of New York. Torontonians eat an assortment of culinary delights: samosas, kolbassa, blt, pita, multi grain, organic, transfats, bibimbap, Alberta beef etc. Name it you'll find it in the city. With such diverse communities, many citizens carry multinational genes in their veins. Last weekend (June 25-27), changed all that. 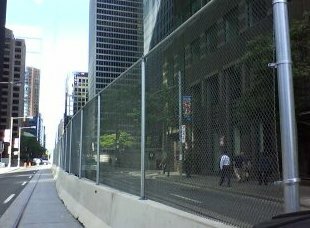 The PM in Ottawa gave the city a push to world class status, by donating the G20 summit right in the heart of downtown. With 6 months notice and nary an input from its citizens, $1.2 b budget, $900 m in "security" alone and approx 15,000 security force, Toronto had to show the world what a truly world class city it is. However, things didn't go according to plans. As with any G# or world summits, the city expected demonstrations, protests and marches and that dreaded group called the "black bloc." In a city with 1001 causes, from cure a disease with unpronounceable name to free a country with multiple consonants, what can one expect - Oxfam marching next to anarchists in black. Photo ops turned into bad optics over the weekend. One day, vandals performed their ritual, smashing windows and burning unattended (or abandoned) police cruisers while the integrated security unit stood down. This mini, micro mob was allowed to disgrace the city. How bizarre. 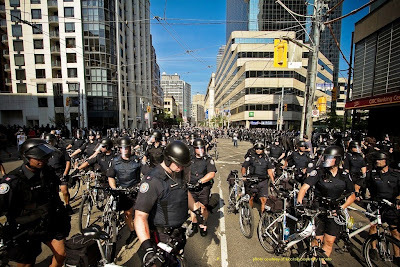 Next day, the ISU (integrated security unit) decided to do some "kettling" (new word of the day, meaning to box people in) on Queen St. W and Spadina for 5 hours, half of that in a record downpour. A small group of peaceful marchers, including a group that calls itself the "bike bloc" (advocating for more bike lanes), Chinatown shoppers, bystanders, teenagers gawking at the happening or people simply crossing the street were in "breach of peace". What? Queen St. West in breach of peace? The funky street lives to break the peace with its clubs, pubs, artsy fartsy shops, entertainment and Much Music. That weekend, other than the usual suspects - the young and university age - anyone wearing black, carrying weapons of opportunity (Visine or dollar store pocket knife!?! ), speaking with a Quebec accent or a riot tourist with a digital could be deemed an anarchist or sympathizer. A free weekend in a cage at the detention center sans vegetarian menu awaited them. No one high up would like to acknowledge that this was a mess: bad for small businesses in the core, bad for tourism (80% of tourists to Toronto are from the US which issued an advisory before G20 - thanks!?! ), bad for Toronto's finest (yes, we actually like our cops), and bad tv. Of the 900 arrested, so far only 1 has been charged. 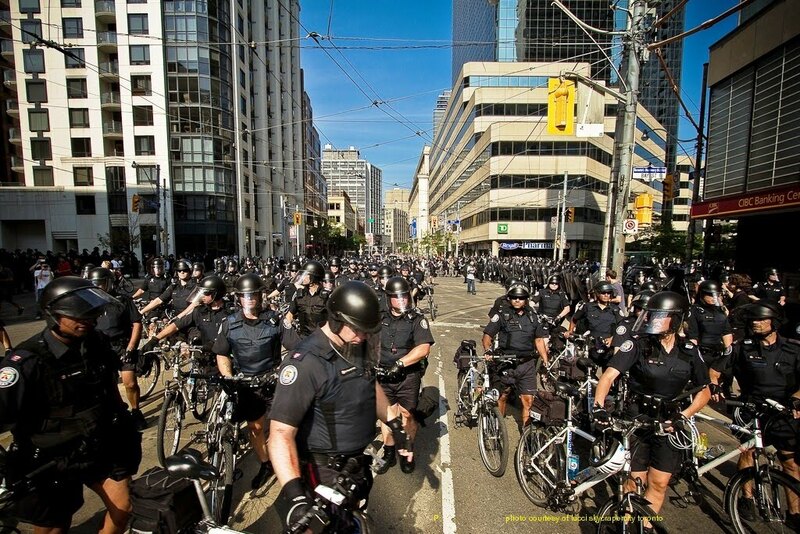 That was even before the G20 came to town. Authorities have not even identified the 2 people who popped out of a manhole they arrested in the wee hours of Sunday morning. That could be new material for a wicked movie - The Anarchist Ninja Turtles in Toronto. The showcase for Toronto and tourism turned into a surreal reality show. G20 leaders did not even have a photo op at a tourist attraction. Toronto the good just turned bad. Now for the real boring stuff, check out Tourism Toronto.